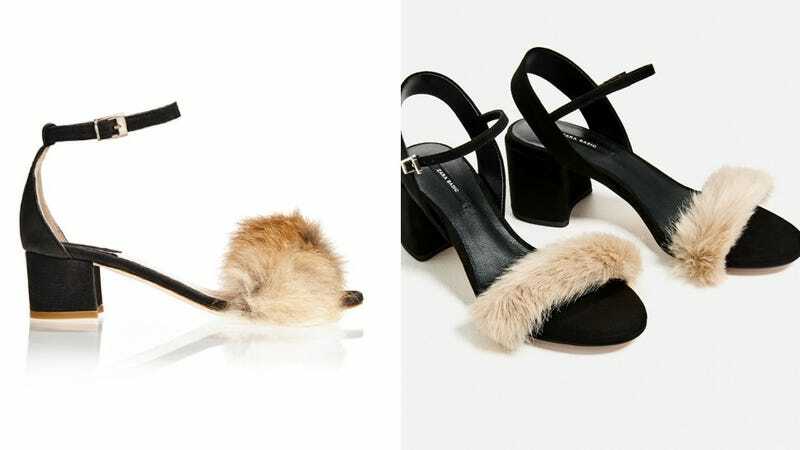 Zara, the Spanish fashion pirates who’ve progressively become known for ripping off designers and selling their designs as fast fashion, has seemingly attached again, this time copying Brother Vellies’ Dhara sandal (featured on the left hand side of the top image), which—ethically sourced from Africa—typically retails at $715. Handmade in South Africa, Kenya and Morocco, Brother Vellies creates boots, shoes and sandals in styles that maintain the spirit and durability of their ancestral counterparts. But while James has built her business model on providing well-paying jobs for South African, Kenyan, and Moroccan shoe makers and artisans, Zara’s rip-off—selling for $59.90—does not. Brother Vellies is an incredibly challenging company to run, and a lot of that is due to the transparency of our supply chain. We work with five workshops across Africa to create our entire collection, and each of these partners is like our family. We work with people that we know pay fair wages, maintain clean, safe facilities and support the families and communities of the individuals that work for them. We examine their wastage, their processing techniques, and how their workshops support and impact the communities they are based in. Paying fair wages and investing in innovation to reduce the carbon footprint of your creations is expensive. If you are holding a constructed high-heeled shoe in your hand and it costs $60, that shoe did not make it to your hands without having a severe impact on the environment it came from and the community that produced it. The materials in that shoe probably did significant damage to the water supply and air quality, and the construction of that shoe was handled by someone who may or may not be able to afford to buy school supplies for their children. This is how small developing-world communities become trapped in a poverty cycle, and how the world as a whole accelerates the environmental effects of global warming. And from a more shallow point-of-view, the Zara knockoffs look terrible. Zara Retail Workers Are Unionizing!